SPF is an abbreviation of Sun Protection Factor which depicts how much protection a sunscreen can provide against the sun’s ultraviolet rays or UV radiation. UV rays are too much harsh on your skin as it has the capability to burn your skin badly. Thank God, sunscreens are there for your skin wellness. A sunscreen with SPF rate mentioned should be preferred always as it gives best skin protection. Ultraviolet rays are too harsh for our skin especially of our face as skin at this part of the body is most delicate and tender one. This is the reason when you go out especially in summer time our skin gets burnt due to direct exposure to Sun and causes wrinkles and fine lines. These rays are so intense that within a day you can observe the difference in your skin texture. Also, it causes burning, tanning and irritation. Sun protection factor is nothing but a degree or percentage of skin protection a sunscreen can provide you. So no doubt checking the SPF rate matters a lot while purchasing any sunscreen, no matter you are picking from any brand. It is laboratory tested so quite reliable just you need to have exact or accurate idea regarding benefits of SPF to skin irrespective of different rates or volume (SPF rate). Though the sun is the biggest source of Vitamin D it doesn’t mean that we should come under its direct exposure for getting this beneficial vitamin. Along with goodness, its rays are very harmful to our skin. An unprotected skin is most likely to become a victim of suntan, sunburn and skin cancer because of regular direct exposure to it. Sun Protection Factor mentioned in any sunblock or sunscreen shows how much time your skin is protected from UVB rays irrespective of your skin type. It can prevent your wrinkles appearance, skin sagging, and moles in the face. For availing the benefits of a sunscreen you need to know about SPF deeply which is described below. The sun protection factor measures or calculate how much your skin is safe from sun’s exposure if you are applying a sunscreen or sun lotion to your skin. You must get confused by seeing the different SPF rates mentioned over any sunscreen cream. This is primarily because you don’t have appropriate knowledge about SPF or half knowledge regarding the way SPF works for your skin. Your skin is the softest part of your body so its need your care and protection otherwise it will not take much time to get sag and full of wrinkles before age. Wrinkles and pigmentation are primary develop in the skin due to ultraviolet rays of the sun. Sun’s UV rays are divided into two types, one is called UVA and another one is called UVB. UVA rays cause photo-aging to your skin and a little bit exposed to the risk of cancer. UVB rays cause sunburn, erythema, wrinkles, skin cancer. Most of the sunscreen gives protection against the UVB rays of the sun. With regular usage of these creams as well as reapplication of these creams to your face gives higher protection from harsh rays of the sun. There is some sunscreen cream in which label, the term “broad spectrum” or “UVA” remains mentioned under a circle, this means the sunscreen will give protection against UVA rays also along with UVB rays of the sun. Though the SPF rate denotes the degree or level of protection you will get from the sun but one thing you should be aware of that a proper amount of application of these sunscreens is must in order to avail its protection benefit otherwise it will not show its effectiveness to your skin. You need to apply a thicker quantity of the sunscreen you have selected for you as a lesser amount will get absorbed within few minutes. So thicker the sunscreen higher the rate of protection against the UV rays of the sun. Also along with the thickness of sunscreen, its effectiveness also depends upon the no. of times you are applying it in your face. It is said by experts to apply the sunscreen or lotion in every two hours of an interval for guarding your face better way. Higher the number of reapplication of these creams higher the protection against UVB rays of the sun. So it’s totally up to you how you are using your sunscreen, the better way you use it, you get same or equal positive response from it which is favorable for your skin. Sunburn or suntan is the measure issues that everyone faces when they come into the exposure of sun’s UV rays. Though the sunscreen will not give complete protection against the UV exposure effects if you do not apply an adequate SPF rate sunscreen your skin remains more under the safe hand because of it. Sunscreen with SPF rate works as an arm for fighting against the UV rays harsh effect, then also it is suggested not to go out especially in the midday time of summer season. This is because at this point of time the intensity of sun’s heat remains at its highest degree. As an old saying goes prevention is better than cure so if we can protect or guard our skin with little bit effort and care then there is no room for carelessness. A few years back it was a big issue of debate “Is the higher SPF rate works more effectively on the skin?”. 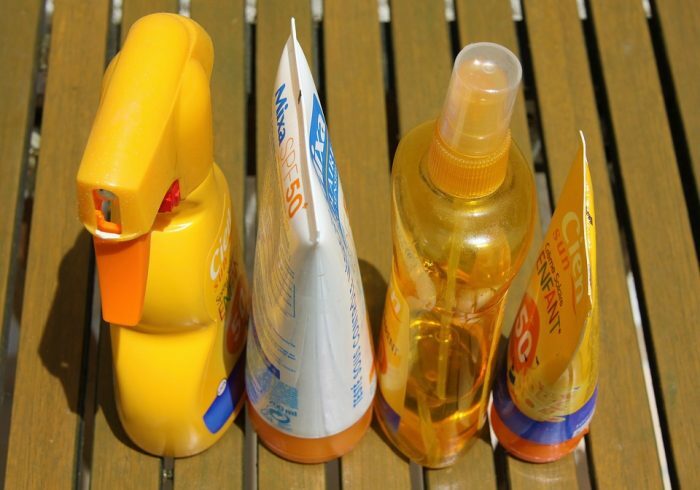 You must have seen a number denoting the SPF rate in the packaging of sunscreen or sun lotion. Those who don’t know actually regarding the concept of SPF thinks that higher the SPF rate, higher the protection against sunburn or suntan but this is absolutely a myth. The fact is that there is nothing to do regardless of higher rate of SPF as when we go deep into this concept we find a lower level and medium level of SPF works equally for protecting your skin from harsh effect of sun’s UV rays whereas a very high rate of SPF sunscreen provides a very low level of protection to your skin. SPF rate denotes the total time that your skin is going to stay safe after use of the sunscreen. So even a lower SPF rate can provide longer time protection with the comparison to a higher SPF rate sunscreen. Also regardless of SPF protection, you should be aware of the fact that the range or quality of benefit out of these creams depends upon many factors. 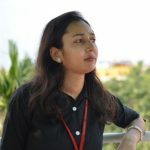 If these factors are favorable or if you are adhering to all the rules for applying the sunscreen then and only you should expect positive output from it. You can enhance your knowledge regarding the SPF concept by looking at our below-mentioned table or chart. A sunscreen with SPF 15 provides protection against 93% of sun’s UVB rays. A sunscreen with SPF 30 provides protection against 97% of sun’s UVB rays. This table clears it completely that SPF between 15 to 50 works most probably works at the same rate for protecting your skin. There is no big or dramatic difference whether you use a sunscreen with SPF 15, or SPF 30 or SPF 50. SPF 30 gives you 4% extra protection than SPF 15 sunscreen whereas SPF 50 gives only 1% extra protection than SPF 30 which is almost negligible. Below we have mentioned some important points which will throw light on higher SPF rate sunscreen concept. Many of us buy a sunscreen by checking the higher rate of SPF mentioned on its label. They think that this sunscreen will provide extra protection to them. Let me tell you, my dear friend, this is nothing more than your misconception. So get out of your fictitious world. 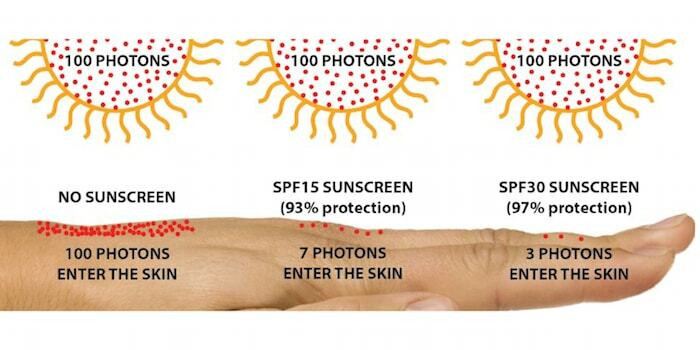 The reality behind SPF rate is that it does not work directly on the higher rate concept. Means higher SPF doesn’t imply a high rate of protection. It is been proved by the laboratory test initiated by Procter & Gamble that there is no very remarkable difference between the SPF 50 sunscreen to SPF 100 or 97. They say that some companies are misleading to their customers by printing high SPF rate like 97 or 98. This concept is absolutely miscommunicated among consumers. They further added that SPF 100 printing should be totally prevented and in its place, SPF 50+ should be printed which denotes or provides the highest level of protection from ultraviolet rays of sunscreen. It is now laboratory tested and proved that a product like a sunscreen, under eye cream, moisturizer etc. 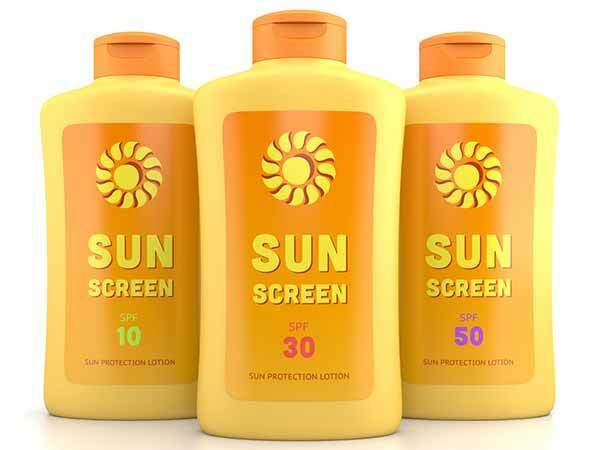 with a higher rate of SPF is associated with high risk to health. So it is no way safe to use or apply these creams. This is mainly because a high SPF rate product requires an extra amount of sun’s UV rays filtration chemical which attacks your skin when you come under its exposure. This extra amount of chemical is no way good for your internal health and many times it affects your health severely. Whereas the low rate of SPF products needed a very lesser amount of these sun’s UV rays filtration chemical, so these are quite safe as per your health is concerned. These chemicals are actually very harsh as they are meant for fighting against the UV spectrum of the sun which is very strong, so it causes skin damaging or internal tissue damaging and even several times hormonal disruption. You buy your sunscreen with the imagination that you are safe from the sun’s exposure but in fact, you are hampering your skin health indirectly if you have selected a high rate of SPF product. So it will be a prudent decision to buy a product with SPF 30 instead of SPF 70 product. Many of you might have thought that the SPF 100 is best for protecting your skin and buy these products blindly even by paying the extra cost with a comparison to the same product with lesser SPF. If you go deeply into the concept of SPF protection value you will find that an SPF 100 provides a very marginal rate of higher protection than a product with SPF 50. Your skin gets 98 % of protection by using a sunscreen or sun lotion with SPF 50 whereas the same product with SPF 100 provides 99% of protection. So there is only 1 percent difference which is quite negligible. Also, SPF 15 to 30 provides an adequate range of protection even to those having a very sensitive type skin. So this rate is good for all skin types. It is been proved by the surveys conducted in last few years that most of the skin cancer risk or development of melanoma is associated with people who misused to any higher SPF rate product. They get a better feeling of security by using any high rate SPF product as they think that they are totally in safe hand and UV rays will no way affect them. Whereas in reality, these people develop more risk regarding skin health because of their careless behavior. Often it is seen especially in European countries that people go for sunbath by applying high SPF rate product with the assumption that the sun’s UVA and UVB rays will not affect their skin as they are under a protection cell. But this is nothing but an imagination. These products will only work positively if you get exposed to sun’s rays in a limit, overexposing will do nothing more than harming your skin and henceforth causing severe skin’s diseases. In the opposite situation, people who use lesser rate of SPF product don’t take a risk of direct sun exposure for a longer time or don’t do sunbath. They prefer to keep themselves under shade for most of the time. This way they get more benefit by using low rate SPF product. 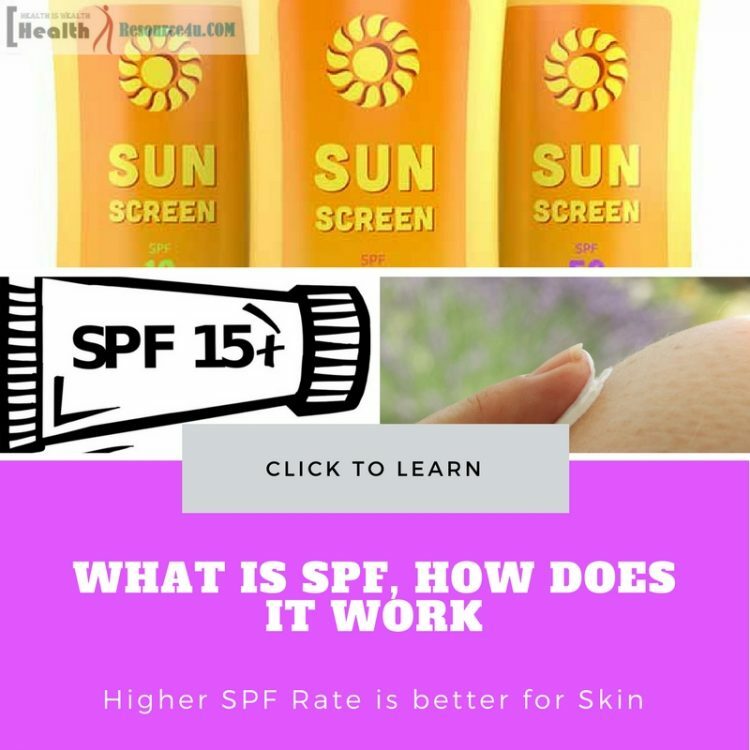 We hope this article must have cleared your concept regarding sunscreen with SPF rate and now onwards you will no way fool yourself by purchasing any product with higher SPF rate. Your skin is the most valuable wealth of yours so always make a cross check before applying any new product to it.